The NTAA VW Settlement Tribal Work Group was formed to address the historic settlement that will provide $55 million to Tribes in the near future and ensure fair access to all Tribes as the settlement moves forward. This page includes information and resources for Tribes to help them understand and access this historic settlement. As a reminder, Tribes and states each have their own separate trust each managed separately by the trustee, Wilmington Trust, N.A. The trustee will be posting a website for Tribes to access and submit forms necessary to access funds. Stand by for more information! The NTAA VW Settlement Tribal Work Group hosts monthly calls for Tribes on the 2nd Thursday of each month. Check NTAA’s calendar or NTAA’s Weekly Update for information on the next call. 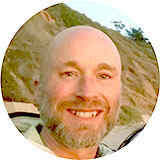 Mark Daniels, Program Coordinator, Sr.
On January 15, 2019, the Trustee for the Volkswagen Diesel Emissions Environmental Mitigation Trust released an announcement to notify Tribes that the second funding cycle is now open, with over $15 million available for eligible diesel emissions mitigation projects. This notice can be found on the Trustee’s public website: https://www.vwenvironmentalmitigationtrust.com/tribe-trust under the Current Updates & Key Information section, and includes useful information on how to apply for funding along with important dates and deadlines. For more information, or to request technical assistance with applying for funding from the Trust, see the information on ITEP’s VW Settlement Technical Assistance Program website. The United States has filed the final, fully executed Environmental Mitigation Trust Agreement for Indian Tribe Trust Beneficiaries (as modified on November 15, 2018) with the United States District Judge for the Northern District of California. On November 19, 2018, Federal District Judge Charles Breyer issued an order to lift the stay on the Indian Tribe Trust. To view the Notice of Order Approving Material Modifications to the Volkswagen Diesel Emissions Environmental Mitigation Trust for Indian Tribe Beneficiaries in accordance with Subparagraph 6.5 of the Indian Tribe Trust, please click here. Click here to view a fact sheet from ITEP’s VW Settlement Technical Assistance Program that details the proposed modifications to the VW Environmental Mitigation Trust. Please note that this process for funding is subject to approval by the U.S. District Court and might change. August 14, 2018: The United States Department of Justice issued to the U.S. District Court Northern District of California a “Notice of the United States’ Consent to Modifications to the Indian Tribe Trust Agreement and Memorandum in Support of Its Request for Court Approval of Modifications”. This Notice can be read in its entirety HERE. On June 21, 2018 the Trustee provided Notice of the Proposed Material Modification of the Indian Tribe Trust Agreement. The notice to tribes and the proposed material modification to the Trust Agreement can be reviewed on the Trustee's website by clicking here. The U.S. Department of Justice will accept written comments from Beneficiaries and potential Beneficiaries on the proposed modifications to the Trust Agreement by no later than July 23, 2018. Instructions for tribes to provide written comments are provided in the Notice. 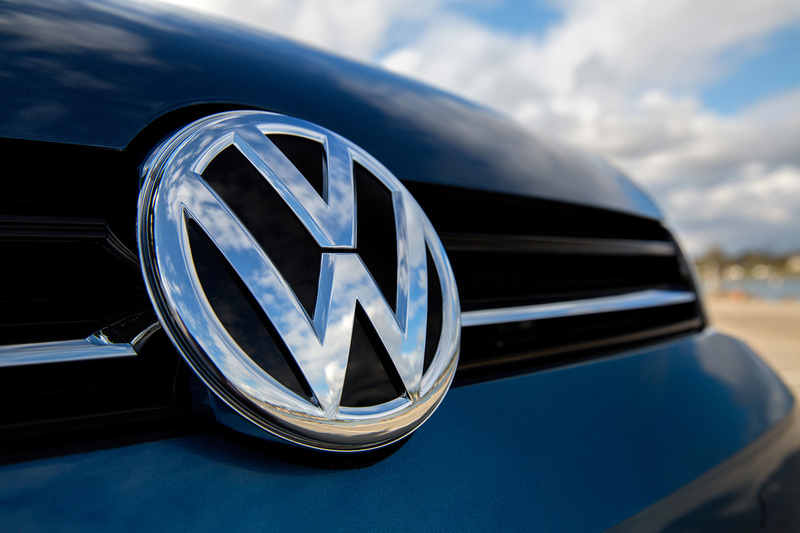 NTAA’s Policy Advisory Committee member Pilar Thomas prepared a memo to the NTAA VW Settlement Work Group that summarizes the trust agreement modifications that you can read here. On June 1, 2018 the U.S. Department of Justice issued a report to the Courts providing an update summarizing actions taken by the Department of Justice since the issuance of the March 2, 2018 Court ordered stay for the first round of funding of the Volkswagen Environmental Mitigation Indian Tribe Trust Agreement. For details of the update issued by the Department of Justice please click here. On May 10, 2018 the U.S. Department of Justice issued a letter to tribal leaders with an update and proposed modifications to address the over-subscription of funding for the first and subsequent rounds of funding for Tribal Beneficiaries in the Volkswagen Environmental Mitigation Trust Agreement. To view the letter issued by the Department of Justice please click here. The U.S. Department of Justice and the U.S. Environmental Protection Agency are inviting Tribes to a third telephonic session to discuss the proposed modification issued in the letter to tribal leaders. Schedule: The schedule for the third telephonic session and for providing any written comments is as follows: Monday, May 21, 2018: Discussion Session 2:00 pm Eastern. Monday, July 2, 2018 is the deadline for written comments. On May 1, 2018 the US Department of Justice provided the Courts a report pursuant to the requirements established by the March 2, 2018 stay issued by the Courts. The report provides an update to the Court summarizing the actions taken by the Department of Justice during the 60 day stay. Furthermore, the report states that ...."The United States must further coordinate with the Trustee regarding how any changes to the equitable allocation formula may necessitate other related modifications throughout the Trust Agreement, and must obtain approval of the parties to the Trust Agreement. This process should be completed in approximately 30 days." Click here to read the full report from the Department of Justice. As a response to the March 2, 2018 Court Order from Judge Charles R. Breyer, the U.S. Department of Justice (DOJ) issued two letters to Tribal Leaders regarding the Court Order’s requirement to “meet and confer” with Tribal Beneficiaries and potential Tribal Beneficiaries. The first letter dated March 16, 2018 details four possible approaches to allocation for an oversubscribed funding cycle. A call was held on March 21st with Tribes. Comments are due by March 28, 2018. The second letter dated March 27, 2018 provides several conceptual approaches to allocation for over subscribed funding cycle that were raised by Beneficiaries during the March 21st call. The Department of Justice accepted written comments until April 3, 2018. On March 2, 2018 United State District Judge Charles R. Breyer ordered a 60 day stay for certain Trustee obligations under the Environmental Mitigation Trust Agreement for Indian tribe Beneficiaries. In compliance with the Order of the Court, the Trustee will not be publishing any notice, with respect to the first funding cycle on the Indian Tribe Trust's public-facing website at this time. Instead, the U.S. Department of Justice and the Environmental Protection Agency, in consultation with the Trustee, will be establishing a schedule for the process described in the Order. The Trustee will share the details of that schedule and process as soon as they are available. Click here to read the Court Order. On October 2, 2017, the VW Settlement Trust Effective Date (TED) was established. The first round of funding closed on January 2, 2018 but Tribes can apply for the second round of funding that closes on September 1, 2018. NTAA has developed a Fact Sheet and a Beneficiary Claim Checklist to help guide Tribes in the application process. 9/19/17 NTAA received word that Honorable Judge Charles Breyer signed his approval on the $55 million settlement for Tribes to help fund and implement environmental mitigation projects in the coming decade. With Judge Breyer's approval the morning of September 19, 2017, the VW Settlement for Tribes moves to all the settlement parties for signatures. Once the attached agreement has all the signatures and is filed with the court, we will have a Trust Effective Date! Thanks to all the NTAA VW Settlement Work Group members and others who have contributed to finalizing this historic settlement! You can view the Judge’s order here. 9/15/17: The NTAA Executive Committee submitted a letter to the U.S. DOJ and EPA with a request for a legal opinion on a tax issue with the VW Settlement related to the separation of the Tribal and State trusts. NTAA again recorded the EC’s request for reconsideration of the funding match requirement for the VW Settlement’s DERA option’s for Tribes. You can view the letter here. Once Judge Breyer approves the trust agreement, a 90-day window opens for Tribes to submit funding requests to the trustee. After that, window closes, Tribes may submit plans on September 1st of each year for the following 9 years. As requested by Tribes during consultation and negotiations, the Trustee has agreed to establish both a Technical Assistance Provider (TAP) to assist Tribes in preparing funding requests and a Tribal Advisory Committee (TAC), and has selected the Institute for Tribal Environmental Professionals (ITEP) as the TAP and as the coordinator of the TAC. The TAP will be funded with 5% of Tribal Allocation Subaccount, and an $30,000 portion of the Tribal Administration Account will pay for the TAC costs. Modifications to the Trust Agreement have been made and there will now be two Trusts: one for States/Puerto Rico/District of Columbia and one for Indian Tribes. Appendix D has been modified to extend the application period from 6 years to 10 years. If the fund is oversubscribed in a given year, funds will be allocated according to census information. 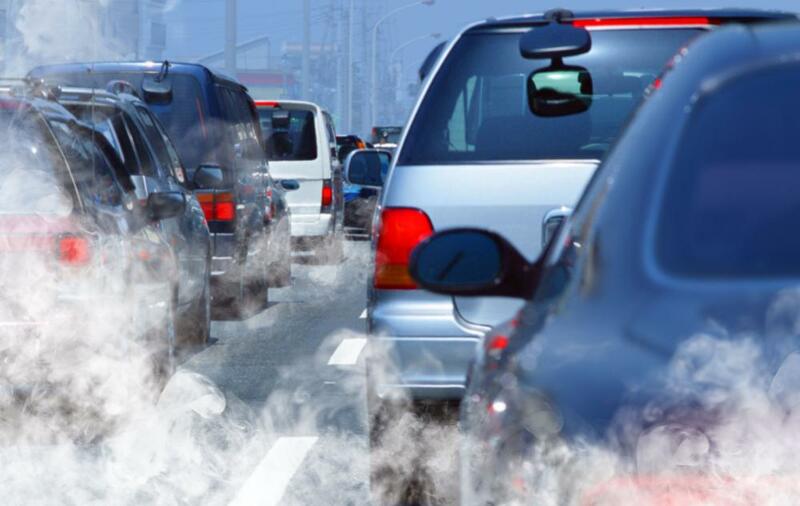 On June 28, 2016, the United States lodged with the court a settlement with automaker Volkswagen to resolve allegations that Volkswagen violated the Clean Air Act (“CAA”) by the sale 2.0 and 3.0 liter diesel engines equipped with “defeat devices” (“CAA 2.0 Liter Partial Settlement”) meant to falsify air emission tests. The major excess pollutant at issue in this case is oxides of nitrogen (NOx), and is a serious public health concern.